Colome played in the Kimball tournament on Sept. 24. The Cowgirls lost to Canistota 25-27, 24-26. In the game with Jones County, Colome lost 22-25, 10-25. Colome defeated Wolsey-Wessington 23-25, 25-19, 25-19. 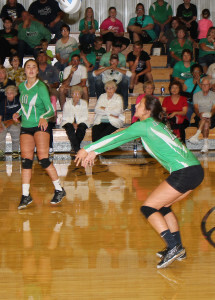 Additionally, earlier in the week the Colome Cowgirls volleyball team defeated Marty 25-13, 25-19, 25-21. On Sept. 13, Colome lost to Platte-Geddes 18-25, 13-25, 18-25. On Sept. 20, Colome lost to Avon 26-28, 7-25, 14-25.